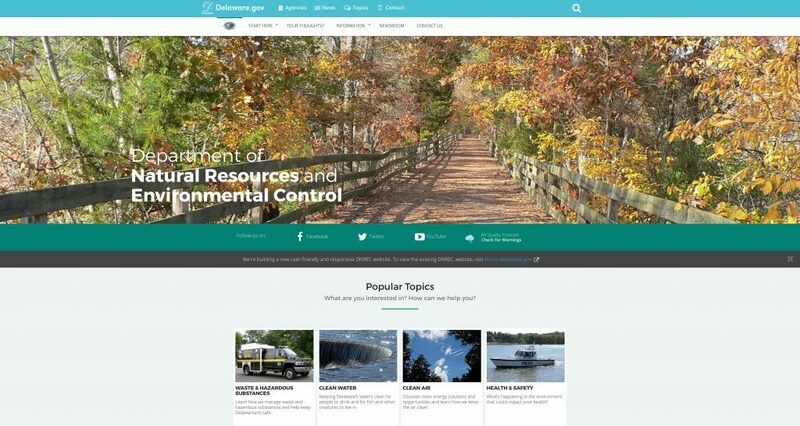 DNREC is using a truly innovate approach to redesigning a large and complex website – called the “Alpha” approach. “Alpha” involves creating an entirely new site from scratch, building it in public with public feedback, and retiring the current site over time. Compare the two sites: DNREC Current versus DNREC Alpha. Run a link checker program and resolve broken links (we like Xenu and Screaming Frog) & give the full list of pages to your Public Information Officer (PIO) or head of communication for their review and coordination within your office. Download the Chrome Extension for the Web-Aim Wave Tool and check across your site for any accessibility issues. Make sure you have Google Analytics on your site, contact GIC to add this. Review your meta descriptions for Search Engine Optimization (SEO) – involve Marketing/PIOs in rewriting meta descriptions. Consider a new Content Management System (CMS). Is your CMS working for you today? Do you want to delegate more to those without coding knowledge to free up your time? 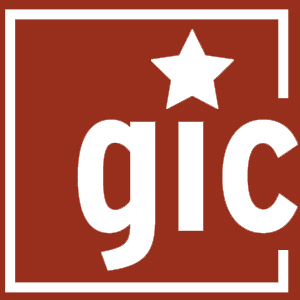 GIC offers WordPress for Content Management for agencies that are not revenue generating. For agencies that are revenue generating, you will need to submit a business case to DTI for WordPress. Take a look at the U.S. 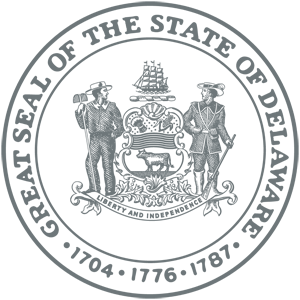 Web Design Standards– while we are not yet moving to these, they are provided as a reference for accessible, user-tested features from 18F, the Federal Digital Design Agency within GSA.gov. Familiarize yourself with Bootstrap, the mobile responsive framework, and the latest version (4.0). We are not yet moving to Bootstrap 4.0 but will be in the future. Do you have forms on your current website? Are they being utilized? Are forms converted to SMUG (from SMU)? Do you have PDFs that you want converted into fillable PDFs? Reach out to GIC to get on the docket for 2017-2018. Ask your webmaster for a list of pages on your site. Review the pages and sort out any old content that should be rewritten or retired. Do a content inventory and content audit (contact GIC if you need assistance with content inventories or audits). Contact divisions/units in your department to review the content that belongs to them (send them the list of pages). Review your Google Analytics data. What is most accessed, what is least accessed? Is that congruent with your priorities as a department/office? What are users searching for? What are they finding? Consider the following questions: what transactions or information are users most interested in from our department/office? Are these transactions easy to navigate to now? What is most important our users? If you have a large site, or a site with confusing navigation, consider the “alpha” approach. “Alpha” involves creating an entirely new site from scratch, building it in public with public feedback, and retiring the current site over time. DNREC is currently in the process with an Alpha site. All of these sites feature important transactions on the home page. What colors and images reflect your agency? Are you open to a logo redesign that would be mobile friendly (i.e. scalable to a small screen size and still recognizable)? Can you begin to create a repository of high resolution, high quality images that reflect your agency? Does your agency interact with businesses? If so, are you open to consolidating any forms and applications that businesses need to fill out? Do you accept information submissions via your website (forms, email us, online chat)? Do you want to? How do you want to integrate your social media accounts to your website? Ideally, your social media content should refer back to your website for more information, rather than pointing people away from your site. Review your Search Engine Optimization (SEO) with your webmaster. How are you showing up in external search engines like Google and Bing? How are people finding you? What words and phrases are they searching for when they get to you? What do your page snippets look like in Search (meta descriptions, bolded keyword, etc)? Do you want to have access to update your website directly? Consider WordPress as a Content Management System, and talk with your webmaster. 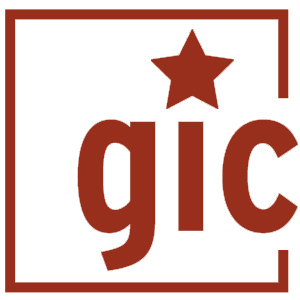 Reach out to GIC to get on the docket for 2019 and beyond.